Edited by the Department of Journalism I of Seville University,IC, Scientific Information and Communication Journal (ISSN: 1696-2508; E-ISSN: 2173-1071) is an annual journal published every January. An open-access journal published under Creative Commons license CC BY-NC-ND, IC‘s mission is to foster analysis, reflection, debate and critical theory in communication, a field that we understand as not being restricted to a set of techniques and professional knowledge. With a solid scientific vocation, the idea is to serve as an outreach platform for new perspectives, approaches and postures put forward by renowned scholars and thinkers, as well as young researchers. This journal screens articles for plagiarism in order to ensure good academic practice. With over a decade of history, IC has a clear-cut international scope (publishing articles in English and Spanish, and exceptionally in other languages as well). Based on a strict peer-review system, all submitted articles are assessed by the journal’s well-established body of reviewers, although ad hoc reviewers are sometimes called in when the subject matter of a article so requires. The review process lasts a maximum of 90 days. Since the publishing of its 10th number, the journal – available both in print and digital format (the latter offering open access to full-text articles) – has been using the OJS platform to professionally manage its editorial workflow. Likewise, all articles are published under a creative commons license. The journal adheres to the BOAI (Budapest Open Access Iniciative) definition of open access whereby users have the right to read, download, copy, distribute, print, search and link full articles published by IC Journal. This journal does not have costs associated to the submission, publication and/or editing of articles submitted to IC. 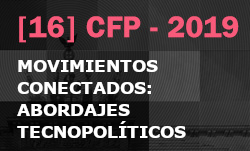 Jointly edited by the Department of Journalism I and the Publications Office of Seville University, IC is open to contributions relating to multiple disciplines and areas of knowledge whose epistemological core revolves around social communication issues, such as philosophy, sociology, psychology, philology, history and economics. Information and communication theories keyed to social change. Considerations on “popular media culture” and associated discourse analysis. This section is dedicated to guest articles by highly prestigious authors with a long track record, or in some cases to articles with special relevance to our field of study. Type of section: guest articles/closed. Review process: by the editorial board. The journal’s main section, it includes those works that address specialized scientific studies of experts or latest advances in different areas of communication research. All submissions are subject to a comprehensive double blind peer-revision process, including external reviewers with no relation to the editorial board of IC or Seville University. Type of section: open/original article submission. This section includes works in research areas other than the ones addressed in each issue monograph focus. 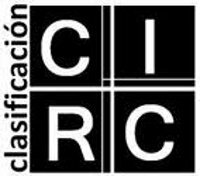 As in ” Select” all submissions are subject to a comprehensive double blind peer-revision process, including external reviewers with no relation to the editorial board of IC or Seville University. This section is dedicated to commenting on and discussing interesting communication research sources, particularly books. It is not, therefore, a section dedicated exclusively to the critical review of new publications, but also to “recuperating” classics or the promotion of other sources, such as academic journals, databases, museums, online portals, etc. The aim of this section is to disseminate master classes/keynotes highly relevant to our field of knowledge. It is not, however, a permanent section of the journal, and is usually limited to one article per number. The articles appearing in the Tribune section are also chosen by the editorial board. Through publishing articles on socially relevant issues that call for a rigorous debate based on data and research experiences. Offering authors a meticulous peer-review process keyed to fostering the originality, breadth of vision, and social adaptability of submitted articles, all within a reasonable amount of time and with utmost transparency. Developing and sustaining an inclusive open-access policy under a creative commons license. Carrying out our work in accordance with an ethical code of conduct and eschewing at all times publication malpractice.